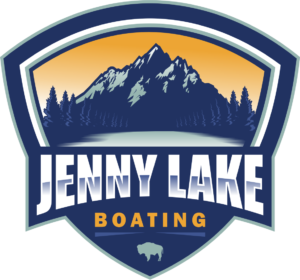 At Jenny Lake Boating we rent non-motorized canoes and kayaks. The canoes accommodate 3 adults or 2 adults and up to 2 small children. The kayaks hold 2 paddlers. Rentals are done on a first-come, first-served basis. If all boats are rented when you arrive, you can put your name on a waiting list and you will be contacted with a Tracker that you will be given at the rental dock. Rental boats are available from mid-June through mid-September. Rentals are dependent on the weather, water temperatures and wind conditions. Boats are for use on Jenny Lake only and may not be taken to other waters. All rentals are to be returned to the East dock from where you leave. Mornings tend to be more calm on the lake as the wind tends to pick up in the afternoons and weather can change very quickly. You must be prepared for all types of weather. Quick drying material (not cotton) is recommended and any items that you don’t want to get wet should either be left in your car or put in a dry bag (complimentary at the dock). Children must be 5 years of age or older to participate in our rental program. Rentals are to be returned daily by the time indicated on the Acknowledgment of Risk form. Rentals are on a first-come, first-served basis. Do Not Stand in the boat or exchange seat positions while on the lake. Always wear your life vest! Stay in designated areas of Jenny Lake (see map). Return boat to EAST dock no later than time indicated on Acknowledgement of Risk. BE alert of coming weather…Jenny Lake is prone to sudden weather changes. Signal for HELP from Shuttle boat captains by waving paddles in the air. Life jackets are to be worn the entire time you are on the water. No standing in boats, pull to the shore to change seats. Tie the boat to a tree if you stop to hike, leave no food or personal items in the boat while you are gone. Wave your paddles above your head if you need assistance from the big boat captains. They will see you and come immediately to your rescue or radio to the dock staff who will come out to your assistance. Stay out of the path of the big boats. Pay special attention to the weather. Storms can come up quickly. If windy conditions occur, stay close to the shoreline. In cases of inclement weather, head back to the East dock as quickly as possible. If lightning strikes, pull to shore and wait till it stops.